From New York to L.A., street food has never been hotter. These days, chefs and restaurateurs everywhere are taking their business outside—and with great rewards! With lower startup costs, higher profit margins, and free social networking technology that lets customers know exactly where to find their favorite food trucks, it's easy to see why this culinary trend has picked up speed. As usual, our alumni are right there at the forefront of the industry, taking culinary ideas to innovative new heights and generating plenty of media buzz. Read on for two of the latest success stories from graduates of The French Culinary Institute. Channeling Betty Crocker in their kitschy retro aprons, Sandy Pollock (Classic Culinary Arts) and partner Crystal Cook bring a hearty new take on the mobile meal to greater Austin, Texas. Slinging one dish-wonders for breakfast, lunch, dinner, and dessert, Casserole Queens accept orders online for delivery the following week. If you're within their delivery area, consider the sausage, egg, and brie or French toast casseroles for breakfast, Oh Boy Broccoli or Zucchini De-"light" for lunch, and the World's Greatest Pot Pie or Chicken Proscuitto Pasta for dinner. Not counting calories this month? Top it all off with Gooey Apple Butter Cake or Peanut Butter Banana Cream Pie, and ponder how your next meal could possibly compare. Visit the Casserole Queens online, follow them on Twitter, and get the recipe for pot pie as seen on Throwdown with Bobby Flay. As the name suggests, the newest gourmet food truck to hit Los Angeles uses buttermilk in almost every menu item. Founded by Gigi Pascual (Classic Pastry Arts) and just launched this November, The Buttermilk Truck churns out pancakes, waffles, doughnuts, biscuits, and assorted breakfast pastries for hungry L.A. foodies morning, noon, and night. Specializing in sweet treats like Buttermilk Pancake Bites, Hawaiian Bread Cinnamon French Toast Sticks, Housemade Cake Donuts, and Red Velvet Pancakes, the truck also offers savory options like Buttermilk Biscuit Breakfast Sandwiches, Fried Chicken with Cinnamon Waffles, Southwest Veggie Omelettes, and the Buttermilk Brick: hash browns, two eggs over easy, and a buttermilk biscuit with housemade chorizo gravy. Hungry yet? Visit the Buttermilk Truck online, follow them on Twitter, and read an interview with Gigi. 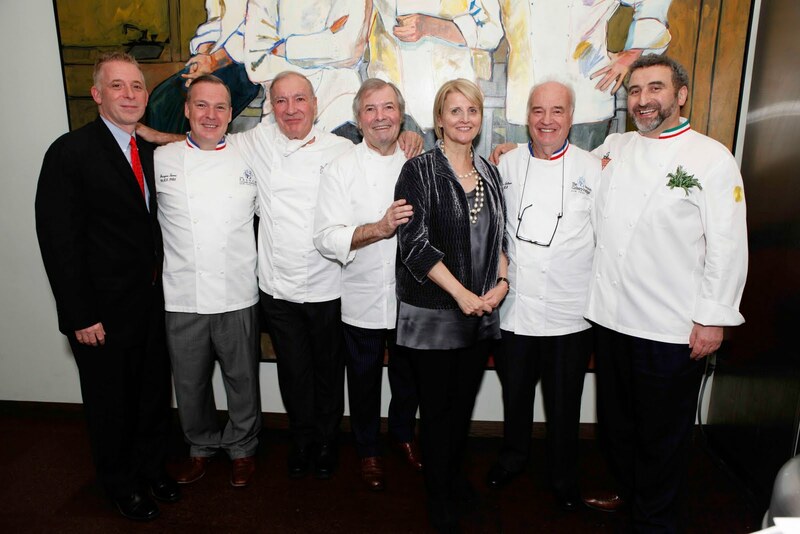 On November 11, The FCI celebrated its 25th anniversary with a panel discussion about the past, present, and future of French cuisine. 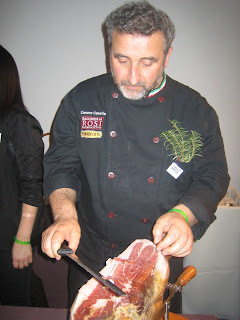 Guests included some of the most prominent chefs, journalists, and professionals in the industry. FCI Founder Dorothy Cann Hamilton led the panel of industry heavyweights, Michael Batterberry, Founder and Editor in Chief of Food Arts magazine, Eric Ripert, Executive Chef/Owner of Le Bernardin, Drew Nieporent, Owner of The Myriad Restaurant Group (Tribecca Grill, Nobu, Corton), and FCI Deans, Master Chefs André Soltner and Jacques Pépin. While each spoke to different aspects of French cuisine, panelists generally agreed that French cooking excels in transforming and elevating food to new heights, while preserving the integrity of the ingredients themselves. It was also agreed that French cuisine is often misunderstood in America, associated with the fancy, snobbish hospitality that is no longer popular instead of the rustic, regional cooking of France. However, it was noted that many of the fanciest French restaurants are still extremely successful. After the panel, the celebration commenced with passed hors d’oeuvres of consommé shooters, savory choucroute, oysters, and caviar prepared by FCI culinary students. To drink, guests enjoyed liquid nitrogen-frosted apple margaritas made by VP of Culinary and Pastry Arts Nils Norén, and were encouraged to take Skål shots (with obligatory photograph), a Scandinavian toast of Aquavit inspired by 1960's Swedish actor Max Von Sydow. Co-hosted by New York magazine in benefit of City Harvest, the 11th annual New York Taste took place on November 2 at Skylight in NYC's West Soho area. More than 40 of the city's best restaurants participated in the event, bringing you small bites from notable chefs including FCI alumni Brad Farmerie for Public, Dan Barber for Blue Hill and Blue Hill at Stone Barns, Morimoto, Dean of Italian Studies Cesare Casella for Salumeria Rosi, and Nils Norén, VP of Culinary and Pastry Arts at The FCI, for L'Ecole. 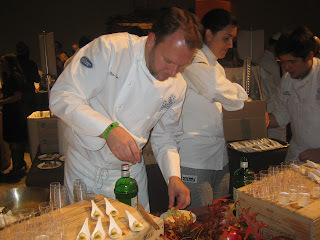 Chef Nils and his team prepared Apples with Cinnamon-White Chocolate Cream, Pistachio Paste, and an Apple Shot. Other standout dishes included Public's Fried Fanny Bay Oysters with Shiso, Sansho Pepper, and Wasabi-Uzu Dipping Sauce; Squab Tortelli with Ricotta and Black Mission Fig from Le Cirque, and Chili-Rubbed Brisket Sliders with Aged Cheddar and Slaw from Porter House New York. 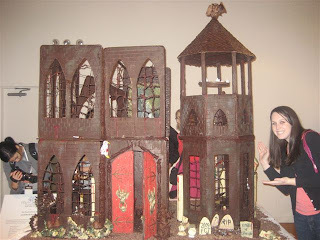 The largest consumer event in the U.S. devoted entirely to chocolate, the 12th Annual New York Chocolate Show took place from October 3-November 1 at the Metropolitan Pavilion in Chelsea. Boasting over 55,000 square feet of chocolate, the show featured a range of exhibitors, from small, artisanal chocolatiers to large commercial manufacturers, including Jacques Torres Chocolates, Guittard, Republica del Cacao, and Hersheys. Over three days, more than 40 top chefs and chocolatiers performed demos in two culinary theaters, giving guests a chance to watch the masters prepare sinfully delicious recipes and masterful chocolate creations. Demonstrations included Tina Casaceli, Director of Pasty and Baking Arts at The FCI and Pastry Chef-Owner of Milk & Cookies Bakery, Dean of Pastry Arts Jacques Torres, and Pastry Chef-Instructor Kir Rodriguez, who worked with Classic Pastry Arts students for two months to create the Haunted House of Count Shock O'Lade, a massive 242-pound chocolate house made of dark, milk, and white chocolate. In addition to their demonstrations, François Payard, Johnny Iuzzini, Karen Demasco, and Jacques Torres were among the chefs offering book signings. Newcomer 2 Chicks with Chocolate, a mother-daughter team, poured free chocolate martinis for guests in the Chocolate Cafe. Guests also had the opportunity to enjoy the Beauty Pavilion, a showcase of chocolate within the beauty industry and its wide variety of uses, where they could sign up for private Chocolate Massages, Cocoa Bean Nail Polish Manicures, and Cocoa Hair Treatments. There was even a KidZone providing fun, creative, and educational activities related to chocolate for children and their parents.